Mason Cooper, an industry veteran with success in music supervision, music publishing, music production and more, is at the forefront of the modern paradigm of synergizing the music, film and television industries, serving in his multifaceted capacities as Music Supervisor, Music Editor, Songwriter/Music Producer, Soundtrack Producer and Film Production Consultant. His comprehensive approach includes assisting with film budgeting and music strategies, full service music supervising/clearance coordination, music/song editing and re-record mix oversight, working within all film and musical styles and genres, overseeing composer and song licensing negotiations and documentation, writing songs and producing music recordings for films and soundtracks, and assisting with project deliverables. 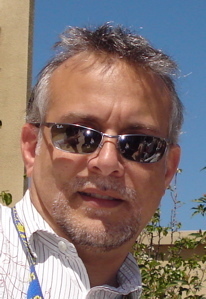 Cooper’s projects include the currenty filming "Lamborghini" (starring Antonio Banderas, Alec Baldwin; directed by Bobby Morseco), the recent release "Nine Eleven" (starring Charlie Sheen, Whoopie Goldberg), the Open Road theatrical hit about icon Steve Jobs – “Jobs” (starring Ashton Kutcher, Josh Gad), the animated feature "BLING" (with Taylor Kitsch, Jon Heder, Jennette McCurdy), the graphic comic comedic thriller "Bad Kids of Crestview High" (starring Gina Gershon, Sean Astin, Drake Bell), eOne Entertainment/DirecTV's hit TV drama "Rogue" (Richard Schiff, Thandie Newton, Cole Hauser) and the polyromantic comedy "You Me Her" (Greg Poehler, Rachel Blanchard), the Peter Farrelly created "Loudermilk" (Ron Livingston) and Primary Wave's "Hit The Road" (starring Jason Alexander), Dennis Quaid’s thriller “Beneath The Darkness,” the Raging Bull prequel/sequel “The Bronx Bull,” the animated film “Spark” (with Susan Sarandon, Hilary Swank, Patrick Stewart) the Documentaries "Locker Room Addiction" and "Bourbontucky," and the Audience Music series (for AT&T's Audience Network) that includes concert programming by Sheryl Crow, Korn, Taylor Swift, Panic At The Disco, Ne-Yo, The Foo Fighters and many more. Full credits can be found at on IMDB, with past project highlights including director Christian Sesma’s “Shoot The Hero” (WB; Jason Mewes, Danny Trejo, Nick Turturro) and “I’m Not Like That No More” (Paul Rodriguez, Felipe Esparza), thirteen television specials for Viacom’s MTVNetworks, Showtime’s award winning documentary “Annie: Life After Tomorrow,” MGM’s “Deal” (Burt Reynolds, Jennifer Tilly), SONY SPE’s “The Prince & The Pauper” (with Disney’s Cole & Dylan Sprouse), First Look/Showtime’s “Stiletto” (Tom Berenger, Tom Sizemore), the Bobby Moresco-directed “The Kings Of Appletown” (Cole & Dylan Sprouse), MGM’s “All’s Faire In Love” (Christina Ricci, Cedric The Entertainer), the John Gotti inspired feature film “At The Sinatra Club” (Warner/Tricoast / Jason Gedrick, Michael Nouri), the Gil Cates Jr. directed dark comedy “Lucky” (Colin Hanks, Ari Graynor; Phase 4 Films), and Image Entertainment’s Sean Faris action packed “Freerunner. Originally from the northeast, Cooper began formal musical training at age 4, earned a music scholarship at Arizona State University, majoring in Business Management and Theater, culminating in a B.B.A. (Music Industry emphasis) from Belmont University. His formal music industry career began in Nashville at Bobby Goldsboro’s House of Gold Music and Eddie Rabbit’s Briarpatch/DebDave Music companies, forging an artist-oriented independent publishing vision of the music business, and continuing that path as the Creative Director for Lenono Music, the publishing company of John Lennon and Yoko Ono. Hitting Los Angeles in the mid 1980’s: As Managing Director of Lippman Kahane Entertainment, he helped rep management music clients such as George Michael, Melissa Manchester and Megadeth, and solidified global co-ventures for the firm (w/ EMI Music, Warner/Chappell Music and Polygram Records). Working with LKE’s roster brought Cooper into the film music world, moving on to head the Film/TV Music Department for Motown’s Jobete Music (catalogs of Stevie Wonder, Smokey Robinson, etc.). During this time, Cooper wrote and produced songs for various films as well as network TV themes (CBS’s “Major Dad,” FOX”s “Glory Days,” NBC’s “Sister Kate”). The early 1990’s marked a return to Nashville, helping to kick start careers for artists such as Sony’s superstar duo Montgomery-Gentry. Relocating once again to the west coast, Cooper served as a strategic manager for companies expanding into the Film/Music arena, including eMusic.com, ARTISTdirect.com, classical label Cala Records, the Jim Croce catalogue, and Rick Wakeman of Yes. Cooper continues to focus on his integrated approach, fulfilling a director's vision and protecting a producer's parameters... completed in compliance within distributor quality control standards.